Thirteen giraffe have been safely released into Majete Wildlife Reserve in southern Malawi, African Parks and Giraffe Conservation Foundation announced on Monday 19th November. Beginning in South Africa, the translocation was one of the farthest of its kind with the giraffe being transported over 2,500 km by road to establish a new population of the species in Malawi. Majete has been managed by the conservation non-profit African Parks in partnership with Malawi’s Department of National Parks and Wildlife (DNPW) since 2003, whose collaborative efforts have been hailed as a national success story for the restoration of its wildlife and the benefits the park provides to local communities. 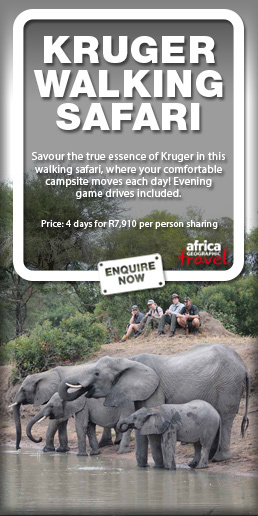 The introduction of giraffe will further enrich the reserve’s biodiversity, while helping to increase tourism to enhance the already emerging conservation-led economy and to additionally support community development. 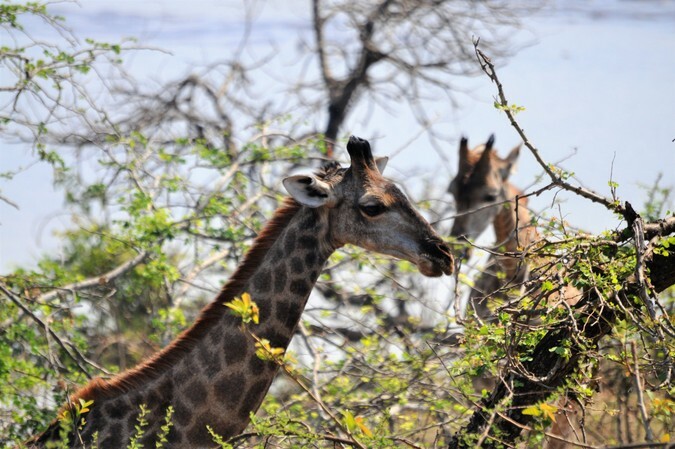 “Majete contains ideal habitat for giraffe as well as the needed protection to provide them and all the other wildlife here the security they need” said Craig Hay, the Park Manager for Majete Wildlife Reserve. “We hope to establish a healthy population to increase biodiversity here, and boost tourism to increase Majete’s economic value for local people, while at the same time support regional efforts to conserve this magnificent species. For fifteen years, our partnership with the DNPW has driven Majete’s evolution from a depleted landscape into a vibrant ecosystem, bringing Africa’s most iconic mammals back to Malawi where people from around the globe and importantly Malawian nationals can enjoy and benefit from their own natural and wild heritage”. 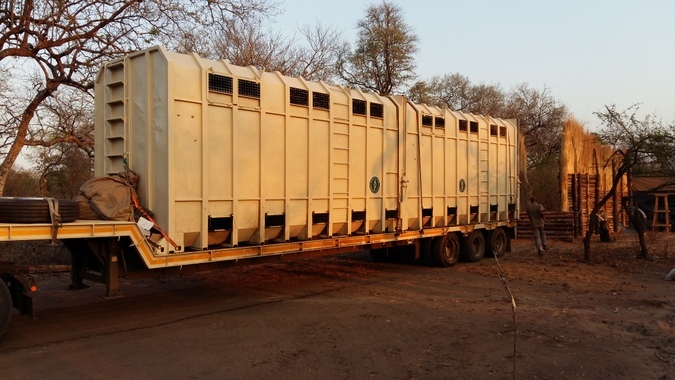 Following months of meticulous planning, a 2,500-km journey was undertaken in early October to transport a group of nine giraffe from a private reserve in South Africa northwards to Malawi. 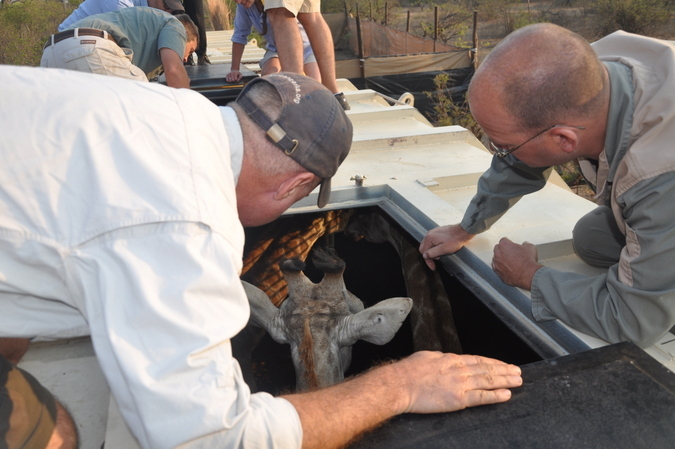 An additional four giraffe were moved from Nyala Park, also in Malawi, to supplement the introduction, making up the 13 animals that were safely released into Majete Wildlife Reserve. 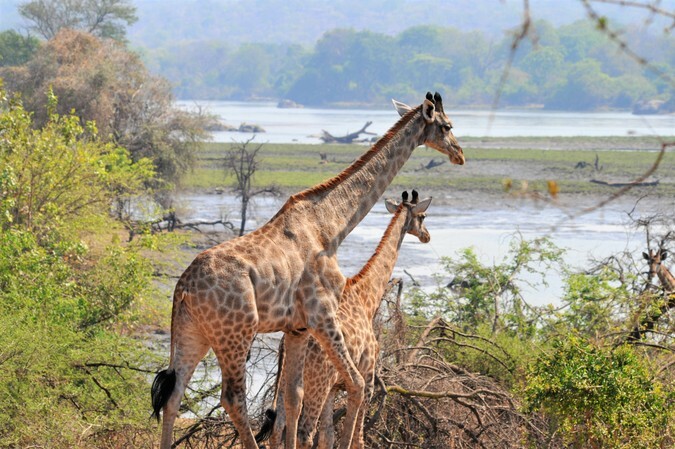 While southern Africa has a robust population of giraffe, very few are present in Malawi, with this translocation bringing national numbers to just over 30 animals. Broadly, giraffe numbers have plummeted in recent decades, with pressures including habitat loss, civil unrest and illegal hunting reducing them to fewer than 100,000 animals remaining on the continent. This project comes at an urgent time when just on Wednesday 14th November IUCN Red List of Threatened Species announced that several giraffe subspecies are now critically endangered. The translocation of South African giraffe to Majete hopes to establish a viable population of the species to support their conservation across the region. “Introducing giraffe in Majete is an example of how collaborative partnerships can make a difference to save giraffe in the wild before it is too late,” said Dr Julian Fennessy, Director of the Giraffe Conservation Foundation. African Parks has worked alongside Malawi’s DNPW and local communities since 2003, introducing more than 2,900 animals to Majete to revitalise the ecosystem and to create sustainable opportunities for socio-economic development. Lion, rhino, elephant, and giraffe are among the species that have returned to the landscape, which is now home to more than 12,000 animals. With the critical support of partners, including The Wyss Foundation, WWF-Belgium and the People’s Postcode Lottery, key infrastructure and rigorous law enforcement were implemented, effectively halting poaching within Majete and enabling its full restoration. Creating safe wilderness areas for giraffe populations to grow is essential to securing their future in Africa. 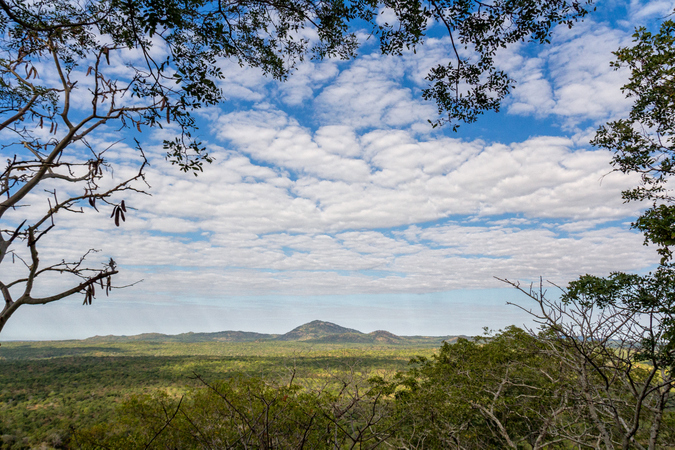 In Majete, the founding of a new population forms part of the reserve’s development as a flagship wildlife sanctuary, benefiting local communities and affording people in Malawi the opportunity to see the world’s tallest land mammal while supporting giraffe conservation efforts. 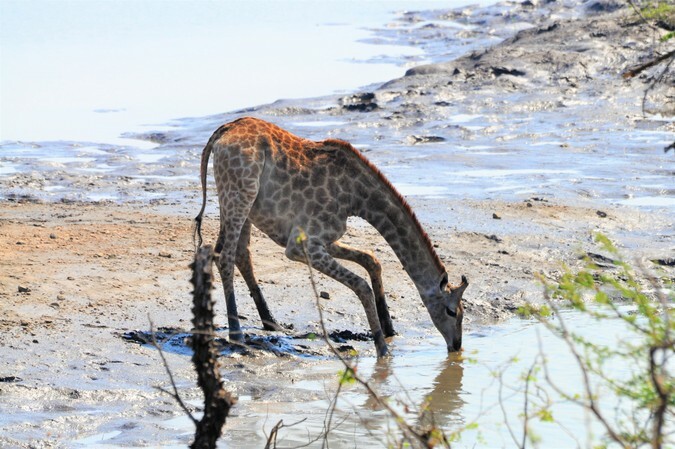 Undertaken in partnership with Giraffe Conservation Foundation, additional support for the translocation was provided by the Sundaram Family, Illovo Sugar and Nkhanga Essential Support Services, Mozambique’s Administracao Nacional de Areas de Conservacao (ANAC) and Markus Jebsen.